Prior to Ernie creating this website, our sole method of communication was via the magazine, the only other alternative is by post which unfortunately must be ruled out on cost alone. 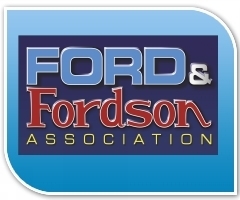 The magazine has proved to be an excellent vehicle for disseminating club news and I do not see this changing, however, it is clear that as Ford and Fordson Tractors is a bimonthly publication and as the deadline for copy to be submitted to it is about a month before it drops through your doors, some three months can pass between an item of interest coming to our attention and to your being told about it. To try and keep you better informed we shall, for a trial period, be publishing a regular ‘Club News’ item on this website. It will also feature items sent in by area representatives of ‘happenings’ they would like brought to your attention and you the members who have something you would like aired. Please email items that you wish to be featured either to Ernie or to myself Pat Pawsey and we will do our best to include the most topical. We shall also include stories of interest that have missed publication previously due to editorial constraints or for other reasons. Make no mistake this is your club and we need both input from you and feedback on the content we publish if it is to work properly. Above in the blue header you can see the 1 - 6 issues of "In the Chair" 2012. Cick on the Month & Number you want to view and this will open on another page for you. Click In the Chair 2012 button in the blue header to return to this 2012 Main page. I hope you enjoy reading these In the Chair information pages as it is my way of keeping the Members upto date with what is going on with Your FFA. The Club has a problem in disseminating information to members. 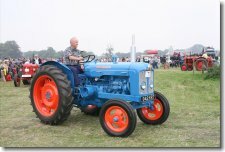 I spoke to Nick Battelle of Old 20 Parts and he says that he will have their new 10 series catalogue at Tractor World and that he is offering FFA members first chance to buy oil control rings to fit the E27N at a special price they normally sell for £9.50 but are being offered at £3.50 each plus, I’m afraid the dreaded VAT. They are offered on a “while stocks last basis” but if your engine uses too much oil or fouls the plugs this may well be an offer that appeals. There is, as you will see below, an article from Nick & Pat Bryne congratulating David Northam for winning the Munday & Hicks Consistency Trophy in 2011 at Great Dorset. (Do please send photos wherever possible it does make it so much more interesting). 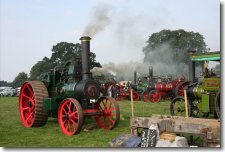 I should like to draw members’ attention to an event being staged by The Grand Henham Steam Rally to be held at Henham Park near Southwold, Suffolk on 15th & 16th September. The FFA will have a stand there for the first time and the theme is to be a celebration of Fordson and Ford tractors with as many different models and their derivatives on display as possible, a presentation in the ring will tell the history of Ford and Fordson in the UK and some of the models on display will feature in this to illustrate their development. This may seem a premature announcement but entries will be limited and we shall particularly be looking for tractors prior to 1930 and post 1970 and I wished to alert those interested before they commit their exhibits to other events. For further details please contact Keith Broomhall on 07831 130005 or 01379 677866. I enclose some photos courtesy of their publicity officer Roger King.